Marketing leaders are now expected to be at the forefront of customer experience initiatives. As well as their traditional marketing responsibilities, like such as branding and external communication delivery, CMOs today need to use their analytics and customer intelligence expertise in order to drive revenue and sales, and much of this activity is interwoven with digital strategy. It’s against this changing landscape that we view the hiring trends of 2018. Digital skills continue to be a key requirement within marketing teams as they increasingly become an integrated channel within the overall marketing strategy. As a result, online marketing skills, including SEO, social media, content performance, UX/UI and e-commerce skills are all as important as ever. To serve today’s generation of B2B and B2C customers, companies must first accept that the customer is now in charge and then understand their needs. This means creating a customer-led marketing culture to win their business. There has been an increase in data analytics and improving customer experience as a result, which are both increasingly being absorbed into the marketing function. Lead generation, proposition development, product marketing and data insights now sit side by side with traditional brand marketing, as the strategic importance of marketing continues to grow from the cost centre to the essential revenue-driving function. The rise in Digital transformation has led to a demand for the key soft skills that are necessary to implement change and communicate often complex data to non- technical decision makers at a senior management level. Blended skill sets that combine both a “storytelling” capability and technical expertise will be a key demand next year, as the digital customer- centric journey continues to gain internal relevance and importance. Marketing Automation and Lead Generation Technology has become a more crucial part of the Marketeer’s toolbox in 2018 as revenue-driving activities now take precedence. Marketo, HubSpot and advanced analytical programs, such as SAS, Python and Hadoop, will all be in big demand and short supply in 2019. In addition, data transformational leadership with GDPR, AI, and Blockchain technology experience will be required by most large businesses in 2019. Although base salaries are reasonably consistent with previous years, we would expect salaries in the coming year to begin to creep up for many. That said, we expect many companies to emphasise the overall compensation package, along with benefits and bonuses, instead of significant salary increases. With increased demand for specialists and their unique technical skills, salaries have started to increase slightly, as there is a short supply of talent in these areas. There will be a demand in expertise in Retail for Customer Experience, and a requirement to manage end-to-end brand and communication campaigns The financial services sector has displayed a demand for marketing CX, UX, and digital skills, as well as customer insights and proposition development. There is a continual demand for customer insights and category solution skills in FMCG. This is combined with an increase in digital online content creation, which has led to a demand for experience in innovative campaign creation. There is an increasing demand for Internal Communication, Employee Cultural Change, and Employee Engagement Experience in professional services. The traditional roles in Product Development, Customer Base Retention, and Segmentation in Telecoms have now been joined by a huge demand across Data Analytics and Predictive Modelling. Tech/IT companies are more and more prioritising professionals with inbound Marketing/Lead Generation and Digital Marketing skillsets. View the latest recruiting challenges for employers across Ireland and see the latest market rate salaries in Marketing and Digital. I hold an Honours degree in Business specialising in Marketing from The Institute Technology of Sligo. My experience includes working in customer facing roles not only in Ireland, but Portugal and the United States. 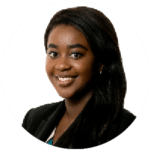 This experience has allowed me to utilise my skills in marketing, management and communication, and allowed me to lend my strengths to the recruitment world and here at Lincoln.